I want (Arduino) ------- (Smartphone) Serial connection. Processing - Android USB Serial Error. Let me know what went wrong. Help. I've never used direct otg usb connection, because my kitkat device didn't support it. (only 5.1 and above.) , I only use bluetooth. But ofcourse you are using the same boudrate 38400 in your ino sketch? How do you know that the port really is the the first ? I think  is right. Because there is no other device. 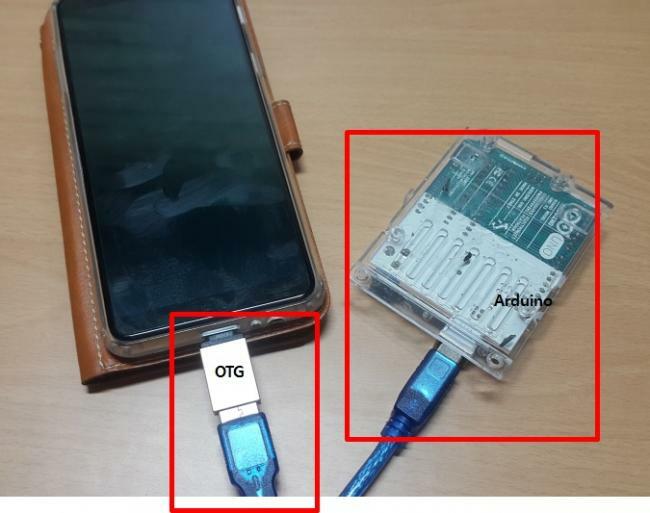 I do not know why the OTG USB library does not work. What do you mean by > API 6.0? You are aware that this lib only support Api level 21 and above? I don't now how this works in Android, but in Windows it can assign any number far higher then number of devices like 45 or whatever. Isn't there within the lib a function that list the ports in the console? 2) In the print statement, there is no serial list at all.